Within A Budding Grove. Symbolizing Purity and Enlightenment! 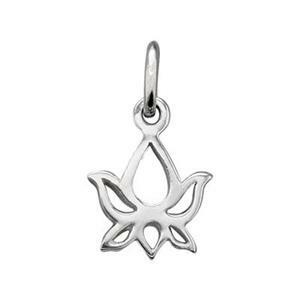 Our SN560 – Bright Sterling Silver Lotus Bud Outline Charm. The Lotus rises from the mud at the bottom of a pond, rising above the murk to blossom in the air. 3.3mm Inside Diameter Closed Jump Ring. Create an Illuminating design from our selection of our Sterling Silver Footage Chains.